Another day another sellout status sneaker style. Today’s feature? 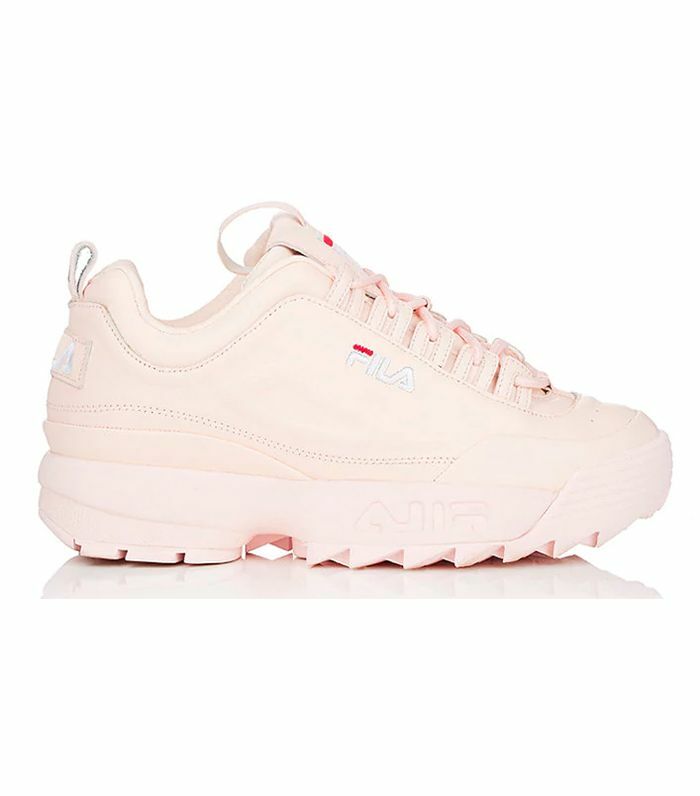 Fila’s Disruptor sneakers that are exclusively sold at Barneys. So what makes a sneaker “ugly-pretty” material? For this particular pair, it’s the throwback-inspired bulky sole that’s earned the “ugly” vibe, and the pretty part plays in thanks to the peachy-pink color of the sneaker. The polarizing kicks just hit Barneys site and they are already selling out is several sizes. If the soft pink hue isn’t your thing, the style also comes in a clean white leather. Scroll down to check out the pink sneakers and shop more statement sneakers from Barneys. Up next, shop Nike's new sparkly sneakers.